The correspondence section in December’s edition of Clinical and Experimental Dermatology has a brief note from 3 doctors from the UK who describe a 61 year old sufferer of neurogenic rosacea. This patient was successfully treated with Pregabalin (Lyrica). 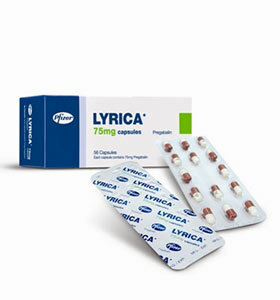 Pregabalin is listed as one of the possible treatments for neurogenic rosacea. The authors suggest that Neurogenic Rosacea may well be under-recognized, and wrote this correspondence to raise the profile of the neurogenic rosacea and possible treatment regimes. Neurogenic rosacea: an uncommon and poorly recognized entity? We present a case of neurogenic rosacea, a distinct variant of rosacea that has only recently been described, and which we feel is probably under-recognized. A 61-year-old woman presented with flushing, facial redness and burning. She had been diagnosed with rosacea in her early 20s, and it was thought that this presentation was simply an exacerbation. The patient had carried out internet searches for possible cures, and was ready to consider sympathectomy. She underwent a course of intense pulsed light treatment for the facial redness, which was partially effective. We also tried the patient on clonidine and beta-blockers for the flushing without any benefit. Given the additional severe facial burning sensation and oedema, and failure to respond to standard treatments, the condition was diagnosed as neurogenic rosacea. The patient could not tolerate gabapentin, but within 2 months of starting pregabalin, her symptoms improved dramatically, with a reduction in facial burning sensation, redness and swelling. She is currently being maintained on pregabalin 300 mg in the morning and 225 mg at night. Neurogenic rosacea was first described by Scharschmidt et al. in 2011, and since then, there have been very few reports of its existence. It is characterized by dramatic facial redness, with burning, stinging and dysaesthesia that is out of proportion to the flushing or inflammation. A relatively high number of patients have neurological or neuropsychiatric conditions, including complex regional pain syndrome, essential tremor, depression and obsessive compulsive disorder. Treatment is difficult, and a poor response is typically seen with standard treatments used in rosacea. Some success has been seen with neuroleptic agents (e.g. pregabalin, gabapentin), tricyclic antidepressants and duloxetine. Endoscopic thoracic sympathectomy has also been used with some success in treating debilitating facial flushing. How do you treat Neurogenic Rosacea? Would love to learn more about the latest treatments. I’m very pleased to have read this article. I’ve just been prescribed Pregabalin for my neurogenic rosacea. I’m concerned with the number of side effects but they are supposed to pass after a week. It can also be addictive. Hi Dave, how are you getting on with Pregabalin? I have burning,flushing and pain from the nerves in my blood vessels and the swelling in my blood vessels. I also have edema. I would love to try this if it is helpful.